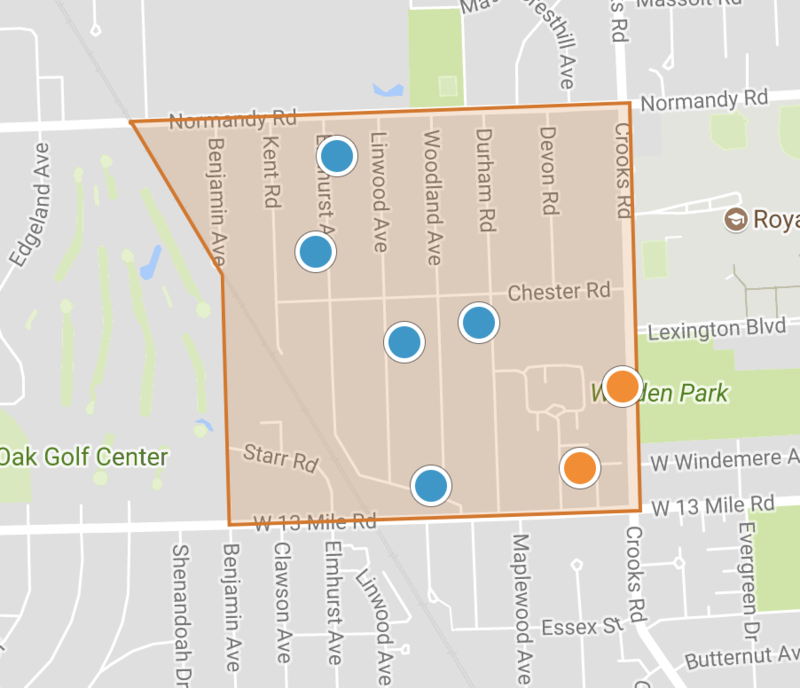 Royal Oak's Starr Acres neighborhood is home to about 1,200. The Neighborhood is centrally located and boasts easy access to Woodward Ave, I-75, and 696. Easy access to all of the Downtown Royal Oak activity! Close to many parks and schools. This area is part of the highly acclaimed Royal Oak School District, Alfred E. Upton Elementary, Royal Oak Middle School and Royal Oak High School.